KAMPALA – A day after the Chief of Defence Forces (CDF), Gen David Muhoozi, condemned the brutality of journalists by UPDF soldiers as they quelled the protests in Kampala on Monday, the army leadership has been rattled by revelations that some of its soldiers used pairs of pliers to pluck skin from different bodies of some of those arrested during protests. The new revelation is likely delivered a big dent to the image of the army, which has for long touted itself as the only disciplined defence force in the history of the country and sought to differentiate itself from the armies of the past based on this front. Whereas several videos have emerged showing some plain-clothed and uniformed security officers beating up protesters, most especially journalists, this website has learnt that the army hierarchy has been particularly disturbed by the same videos showing some of its soldiers plucking layers of skin from some people who were arrested during the protests. NTV journalists Ronald Galiwango and Juma Kirya were some of the journalists who witnessed the scenario and also became victim of the same as they covered the Free Bobi Wine protests on Monday which were sparked off after news spread of the brutal arrest, torture and detention of Kyadondo East MP Robert Kyagulanyi, alias Bobi Wine, by the army. Mr Kyagulanyi and several other MPs and supporters were arrested during the Arua Municipality by-election campaign fracas last week. 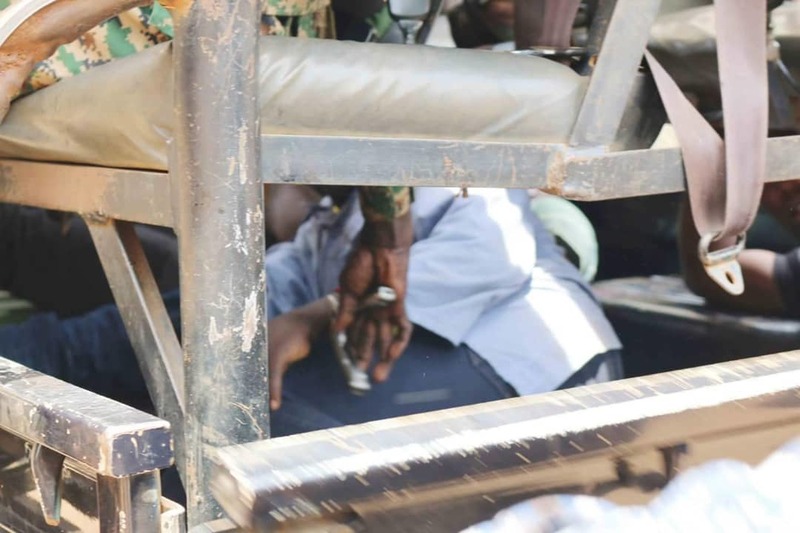 When contacted, Brig Richard Karemire, the army spokesperson, on Wednesday, said alongside the unprofessional conduct of soldiers who battered journalists, the army is also investigating the action of use of pliers by some of its men and will take action. 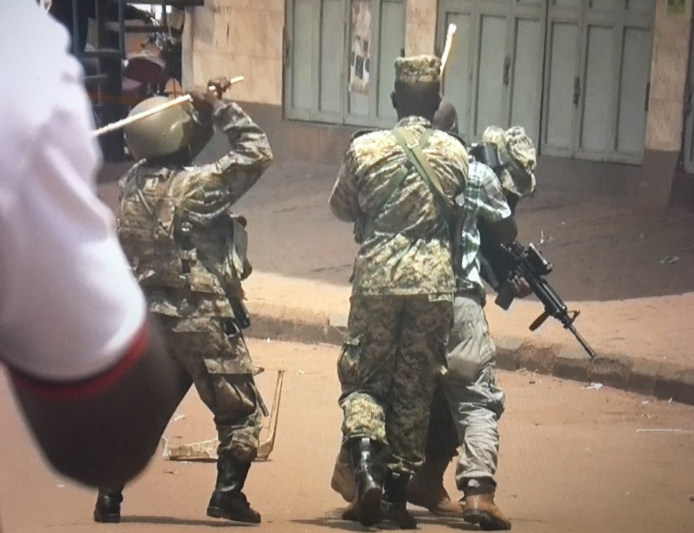 James Akena, a photographer with Reuters was beaten by soldiers, arrested and detained for several hours as he covered the ‘Free Bobi Wine’ protests in Kampala. 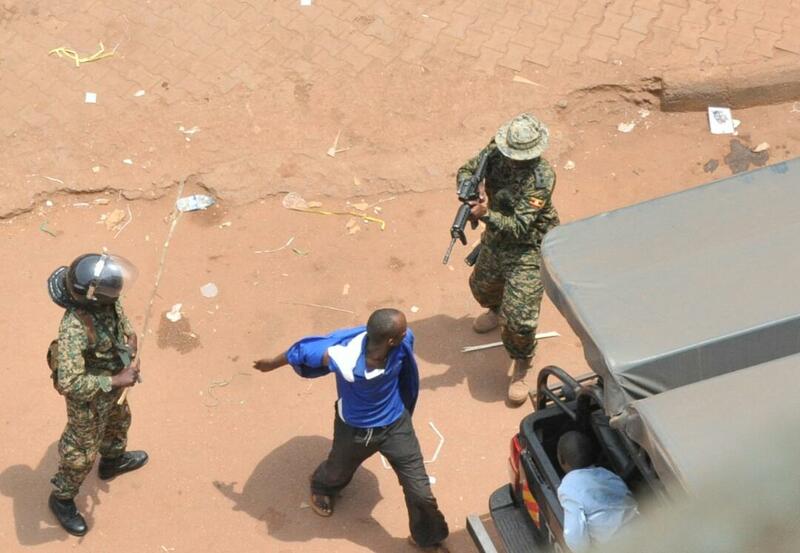 A video of soldiers beating Akena with long sticks has since gone viral. “I was pushed under the police track after they had taken away my camera and money. Only the phone survived and by the time we reached CPS [central police station], they ordered me to delete all the recordings from the camera, but mine was in pieces,” Mr Akena is quoted by Daily Monitor newspaper as saying. Daily Monitor also indicates that Mr Akena sustained a clot in the back of his head as a result of the beatings. It was reported that NTV journalists Ronald Galiwango and Juma Kirya, as well as Observer photographer Alfred Ochwo, were also beaten or roughed up. The African Centre for Media Excellence (ACME), an organization that promotes excellence in journalism and mass communication in Africa, has since condemned the continuing attacks on, arrests and detention of Ugandan journalists by security officers. “Clearly, the security forces that have responded to protesters in the last week want to carry out their wanton abuse of the rights of Ugandans in darkness,” said Dr Peter Mwesige, ACME’s Executive Director. “They don’t want any witnesses to their high crimes. That’s why journalists have been targeted deliberately,” wrote in a statement issued on Monday. What’s the big deal about Easter? Easter is here again but is it about human life as experienced by God?